TNPSC Group 2 Answer Key 2018 Tamilnadu Public Service Commission Group CCSE Group two key answers for 11.11.2018 exam, TN PSC Key answers 2018. Tamilnadu Public Service Commission has successfully conducted the examination today 11.11.2018 from 10.30 AM to 1.00 Pm. Over 6 lakhs candidates have attended the TNPSC group 2 examination. Now aspirants are waiting to check the TNPSC Group 2 exam Answer key to check their answers. Every exam, TNPSc will officially announce the answers after 1 week of the exam. Now also they will release the answer key. And also some TNPSC Coaching centers voluntarily release the answer keys here. Here below you can find various coaching centers TNPSC Group 2 Answer Key 2018 PDF files here. 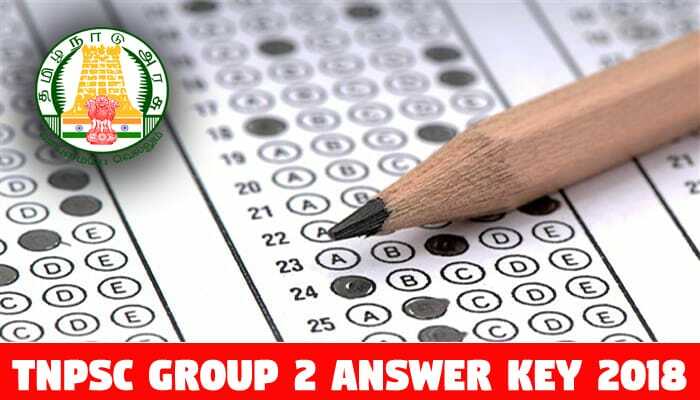 How to download TNPSC Group 2 Answer Key 2018? i got 146 questions correct sir.. bc category.. can i get through?? where GST first originated . Cut off women pstm mean how many questions pa? Sir only maths key ah?